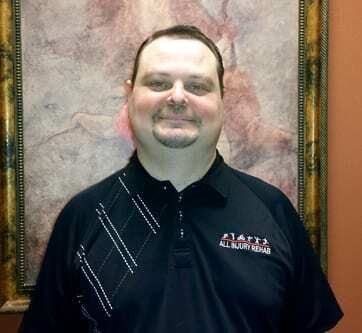 All Injury Rehab Chiropractic > Dr. Brian Starry, D.C.
Activities/Clubs/Sports/Degrees: Former secretary and webmaster for the Corpus Christi Chemistry Club, Operation Kindness (oldest no kill animal shelter in Texas). An avid fan of football, basketball, baseball, mixed martial arts, and motorsports. Former work experience related to Chiropractic: I have proudly served the Dallas Fort-Worth area since 2001, changing lives one patient at a time.